Today’s fan may tend to forget that the 1980s were all about kids. The PG environment of 2008-todayish was nothing compared to 1988-1996 in WWF. 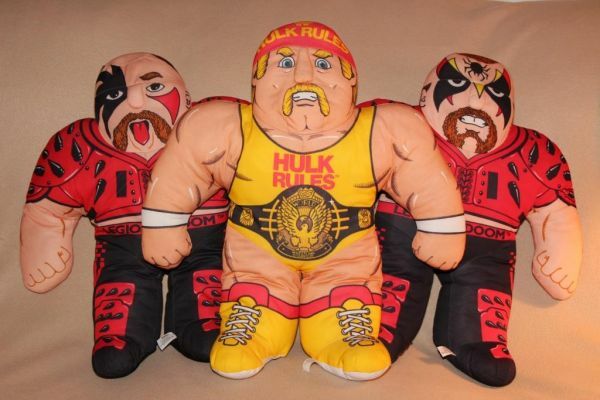 I grew up watching men carrying live animals to the ring and an evil repo man.And we had these! 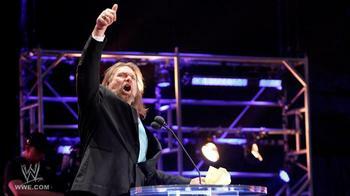 This was the period of time which supplanted Hacksaw Jim Duggan. But as what? Jim Duggan was a solid hand in the early 80s Mid South and came up with Ted Dibiase, Jake Roberts and Butch Reed. He came to the WWF in 1987 and was a generally over mid-card face. Once 88 came, and the cartoon-ness of characters really started to take hold, Duggan developed catch phrases, and became an archetype. He was the crazy about America cartoon character. His story lines had little substance but he was cheered by audiences constantly, as every face character was in the 1980s. But that’s it. Duggan had his usefulness for a few years. By 1993, he was barely used except for jobbing and quickly left the promotion. That is because all successful wrestlers have to eventually change. Today, the Big Show has gone through 10 or so different incarnations of the same character. He needed to change with the changing 2000s. Duggan never did this. And this is the inherent problem with many 80s and early 90s wrestlers and characters. But for all intents and purposes he won and Hooray. It never really led to anything. It was the first “official televised” event and was approved upon and legitimized in 1989-1990. Duggan went on to have mid card feuds with Ted Dibiase, Greg Valentine, and Haku, who he defeated for his other accolade. 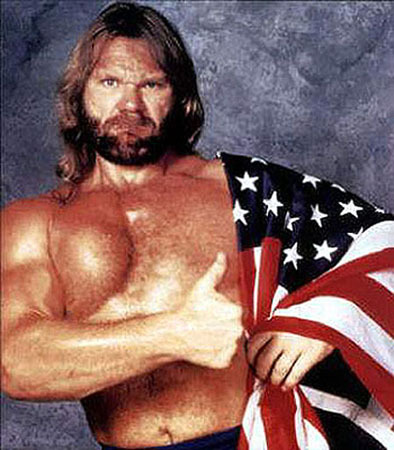 Jim Duggan was king of the ring. And called himself King Hacksaw. Oh and he had an actual coronation with all Mid-Card faces and Demolition. That was Jim Duggan’s high point with the WWF and that was in 1989. Duggan slowly fell into obscurity as his character got boring. His latter work was meh and unmemorable. His credentials are sparse 1X Time WCW US Champ (as a punishment to Steve Austin), 1x WCW Television Champ (when he found the belt in the garbage), 1x Royal Rumble Winner (only 20, and a test version) and “King” by beating Haku in 6 minutes. Duggan would never get in on credentials alone. He doesn’t have them. He kept it! Trash Can Title! Duggan was beloved for a bit. But his character is memorable, which is the only real qualification to get into the Hall. I only wish he wasn’t inducted this soon. Its an okay induction for an okay performer. His positive relationship with WWE caused this. 2011 was the most disjointed class in the history of the Hall. It appeared thrown together at the last minute and only included two good inductees (Michaels and LOD) Sunny, Bob Armstrong, Abdullah, Drew Carey and Duggan are all pretty weak inductees. Duggan was beloved but should never have be one of the first late 80s WWF guys to be considered. Not when Rude, Roberts, Savage, or Warrior weren’t in. The 2011 class needed people. 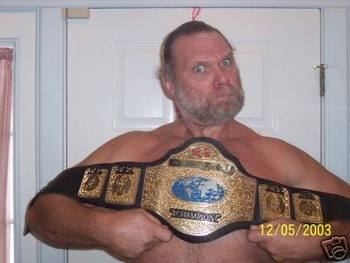 Jim Duggan is a person. Sigh. Duggan was the third 80s WWF superstar to go into the Hall. Mr. Perfect, Koko B Ware and Jim Duggan. That was way too soon. Duggan himself perhaps deserves the honor, when he is 65, in 10 years, when they’ve exhausted all the best. Not now. This entry was posted in 5 out of 10, Class of 2011, WWE Hall of Fame. Bookmark the permalink.